Have you ever realized that your app music app couldn't play a new album you'd been waiting for a long time? I bet you have. Have you ever spent hours on AppStore trying to find a decent substitution for Apple's native player? Again, you have. Moreover, you tried some of them, but you till ended up installing and uninstalling them till you got completely frustrated. You must've thought you could have some player to support different music formats, but usually, you understand it's not convenient at all. 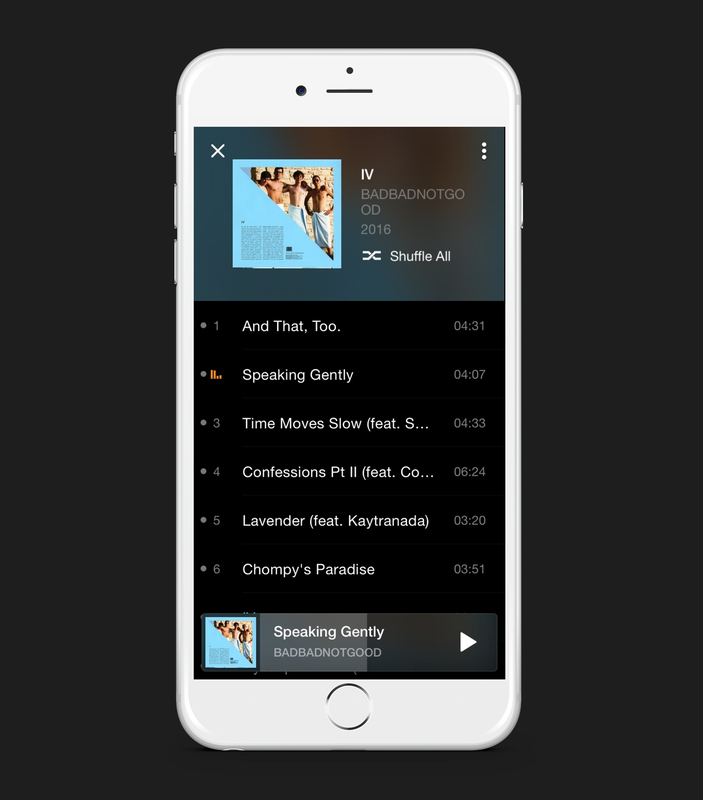 It might take ages to find the best music app for iPhone that will all your demands. What makes it harder is that nowadays there are so many of them that you most probably just get puzzled. Some apps claim they are "free" but have all the features for in-app purchases. Others are infested with annoying ads and can't play particular audio formats (usually Hi-Res), but even if they do, High-Quality music takes up too much space. Nowadays, many people choose conversion but you can read why converting FLAC to MP3 is already in the past. Let's figure out what makes the best music app for iPhone. By saying simple, we usually mean an intuitive menu that isn't stuffed with a whole of unnecessary features. The simpler, the better. We know it's great when both a toddler and a granny can manage it. Also, the best music app must be all about music, and not videos, conversion, news or offering too many features that might lead to a decrease in the overall user experience. Some music apps for iPhone are not bad at all – they can satisfy the needs of a not-too-picky listener. But all those ADS! Every third track you have to wait till another "Clash of Clans" ad finishes. And it's not a single time offer – every day, every time you wish to change a track ads will appear, they literally haunt you. The time goes by, and you either delete it or accept these inconveniences. It's true – not everybody has 64 or 128 GB iPhones. But anyway, it must be more than enough for our everyday needs. Audiophiles have all this space to store their music, but everybody wants to be able to have photos, games, and other apps. So, even if the app seems to be flawless, give it a shot but analyze this aspect precisely. Unless you are craving for some particular features that can be found in apps for musicians or producers there really should be no reason for you to pay for the app. Some may say that you have to pay to use someone's creation but if you don't want to buy you just don’t – there are dozens of music apps which are and free but provide excellent playback. Also, you buy music on iTunes or other services alike; do you really want to waste more money on a music app that you are not sure about? Indeed. As we've already mentioned, these days if you have tracks in various music formats it might appear that your old music player isn't able to play most of them. As you certainly don't want to waste your space on several similar apps, it is better to look for the one that would play all popular formats, both lossy and lossless. Is there such a music app for iPhone? Please, meet VOX Music Player for Mac & iPhone. It's the player you've been looking for. It fits most of the aspect we've written above. Supports lossy and lossless formats. Download VOX Music Player for iPhone NOW. Why is VOX the best music app for iPhone? Available both for Mac and iPhone. VOX is a great solution when it comes to formats which are not supported by default Apple player (FLAC, APE, WMA, CUE, etc.). Enhanced BASS technology makes the most of your music experience. Integrate with SoundCloud as well as work with different audio sources (custom Playlists, online Radio and more). VOX Cloud – your private unlimited music cloud storage, allows you to sync your Mac and iPhone collections and to get access on various devices. Start Upload your music to VOX Cloud. Create VOX Premium account. 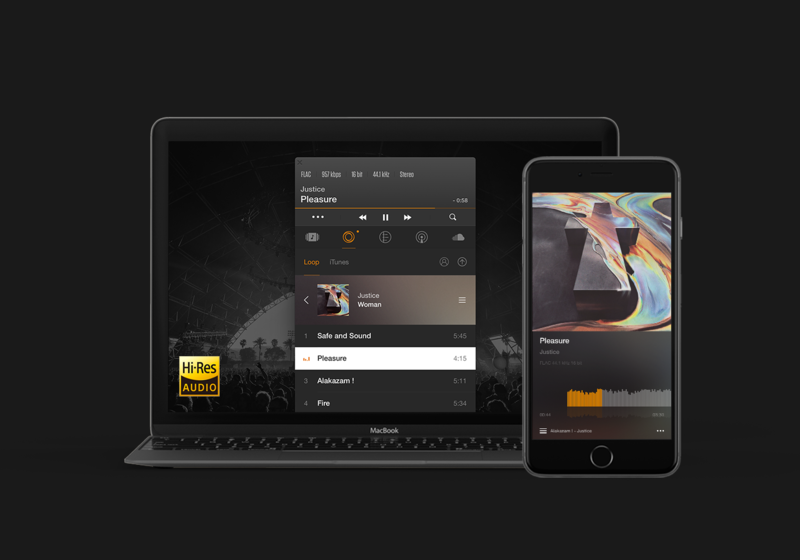 Now that we know what makes the best music app for iPhone, we've proudly presented you VOX Music Player for Mac & iPhone. It's easy to use, supports nearly all audio formats, doesn't have any annoying ads or hidden charges and lastly, it's only 41 MB. Besides, it's got lots of excellent features developed especially for your music experience.